Part Used : Fresh And Dried Rhizomes. Habitat : South east asia and through out india. Uses : Clinically proved as prophylactic of nausea and vomiting associated with motion, sickness, sea sickness and pregnancy. Known for its gastrointestinal benefits and as an anti inflamatory and carminative. 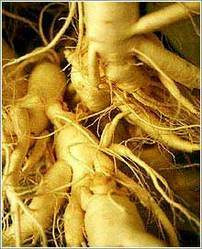 It is useful in bronchitis, colds, congestion, diarrhea, flu, headache, nausea, rheumatism, sore throat. It is also used as an adjunct to many tonic and stimulating remedies.